stampwithamber - Amber Meulenbelt, independant Stampin' Up! demonstrator: Stamp, Stock, and Save Sale Starts Tomorrow! Stamp, Stock, and Save Sale Starts Tomorrow! 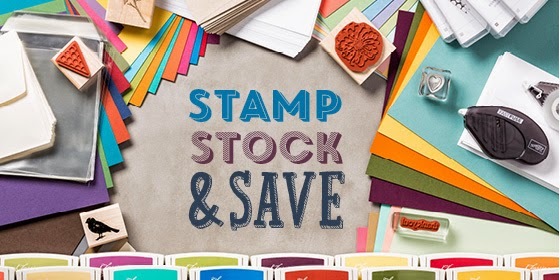 The 'Stamp, Stock, and Save' sale starts tomorrow - too bad it didn't start on Saturday ;) Stampin' Up! is so excited about this year's World Card Making Day, that they're having a ridiculous 15% off sale on some of your favourite products! From October 1-6, you'll be able to purchase select ink, paper, envelopes, and adhesive - all at a 15% discount! And, select stamps are 20% off! Now is the time to restock your supply as you prepare to make your Christmas projects! All Classic Ink pads are on sale for $6.16! (note that the link isn't exclusively Classic Ink pads, but they're the only ones on sale). Other sale products listed below, or see the full flyer.